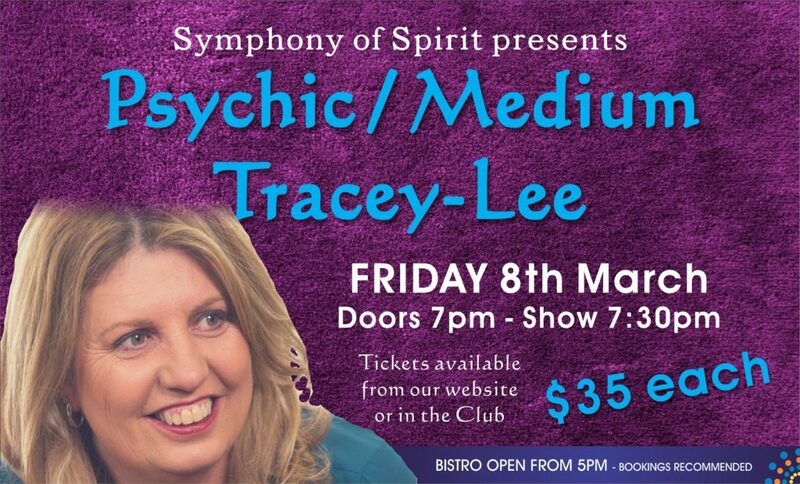 Join Psychic/Medium Tracey-lee for an evening of Connections & Validations, with an opportunity to ask “life” questions. Intuitive Guidance Readings bringing Clarity & Balance. Tracey-lee brings her mediumship to the floor with the unique ability to switch from Mediumship to Psychic Ability with rare ease. Tracey-lee’s down to earth personality along with Host Sue makes for a wonderful evening.